Avis is encircled by the Maranhao lake, one of the biggest lakes in the Alentejo region, which was built in 1957. It produces electricity but is mainly used to water the surrounding land. This stunning lake captures a beautiful wild landscape as well as peaceful, tranquil waters. You can get a great panoramic view of the dam from the old farmhouses at the top of the hill, just follow the road up. 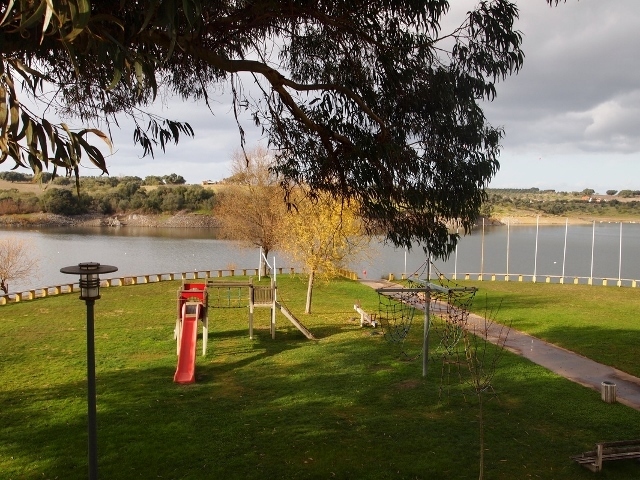 You can also enjoy the lovely Alentejo countryside from various magnificent viewpoints (miradouros) around the lake. There are two bridge crossings nearby, one of which, the Ervedal bridge, is a miniature copy of the Lisbon bridge (25 de Abril). The local area offers a Nautical Club with various water sports, a river beach, great outdoor pools and a camping site.